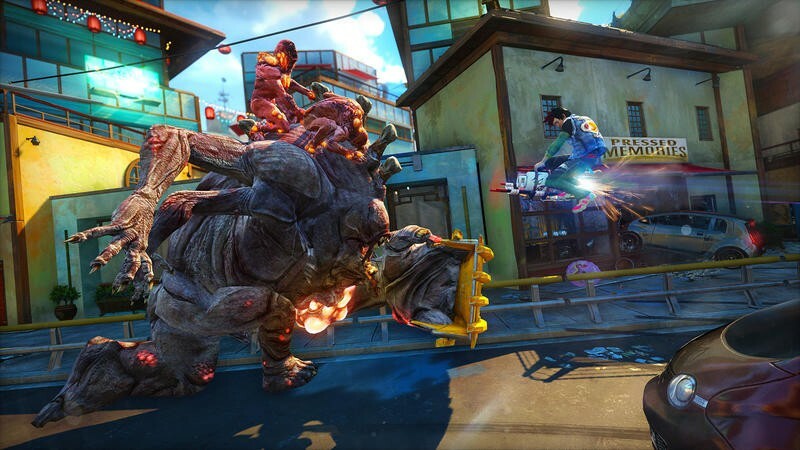 Taking a break from the swath of Japanese games, I decided to give Sunset Overdrive a go at Tokyo Game Show 2014. 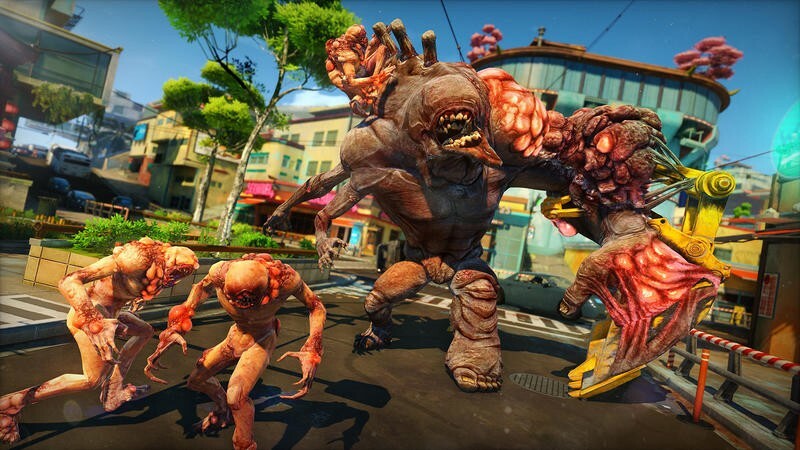 Microsoft had a multiplayer setup of eight players defending their turf from invading monsters, and everyone teams up to repel them at all cost. Monsters charge onto the map in search of power generators in the waves, and the game is gracious enough to tell you the area they bottleneck through, allowing for easy targets. 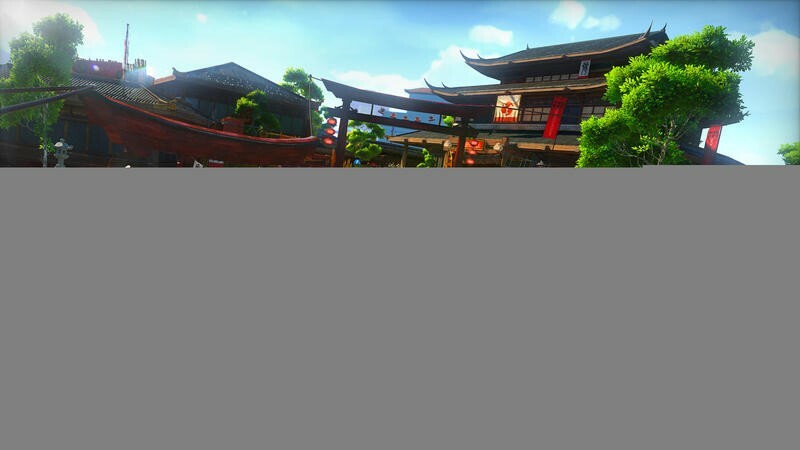 In between waves, players can drop spinning blade traps and turrets, and they can coordinate efforts to prepare for progressively larger ones to come. 10 weapons allow for a variety of approaches as well. 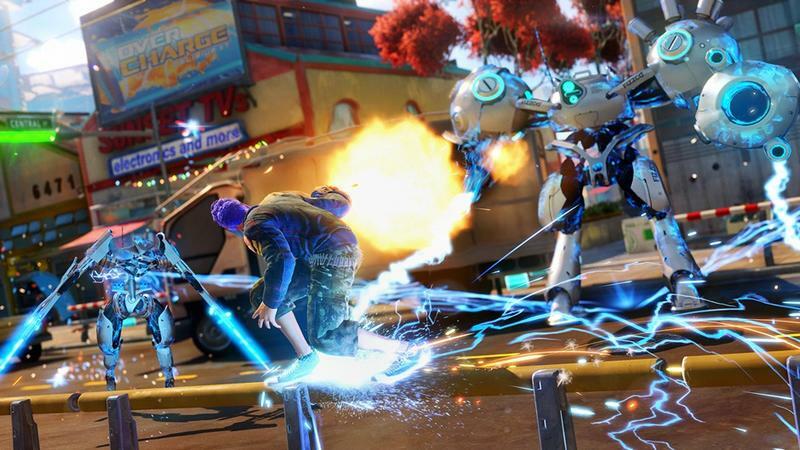 Sunset Overdrive comes with standard assault rifles and shotguns, but as per usual with Insomniac and its penchant for clever weapon design, there are other fun toys. Homing rockets, razor discs, grenade launchers that fire teddy bears, proximity mines, and power rifles. 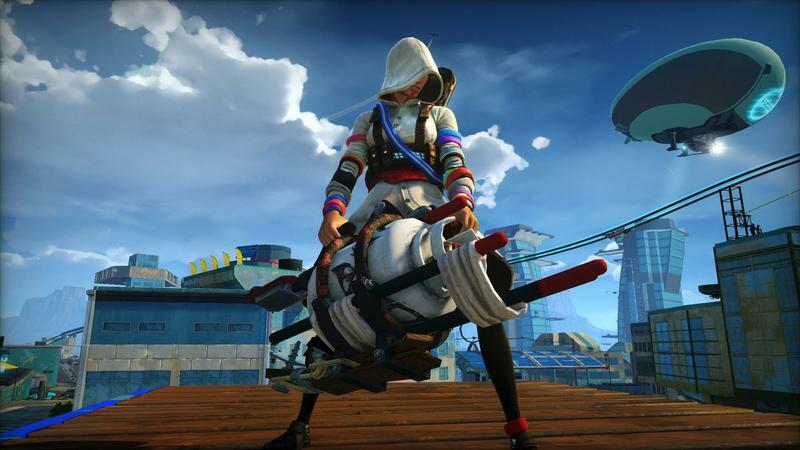 The best is a freeze bomb which will stop even the biggest enemies in their tracks for some free hits. Another unloads the game’s energy drink all over the ground, and the enemies can’t resist to stop and drink up. Again, free easy hits with your laser sword. How did we do? Well, we succeeded, but no thanks to me. 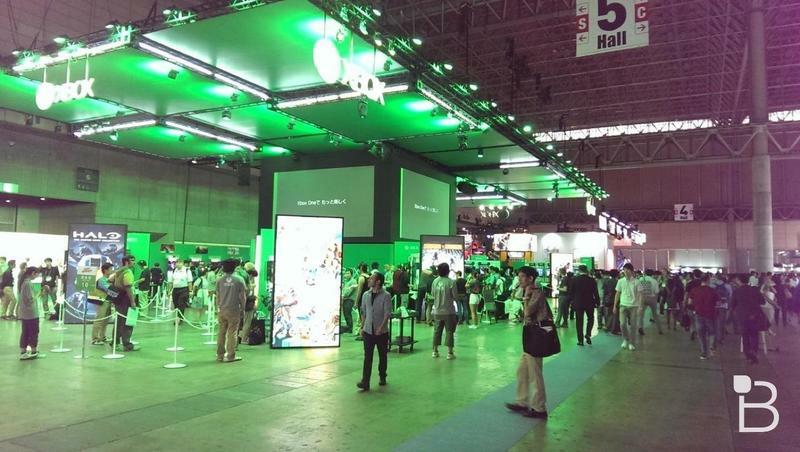 I was in full “lock on” mode because of wave after wave of Japanese shooters and action games, and the more Western dual-analog shooting was kind of going over my head at the time. 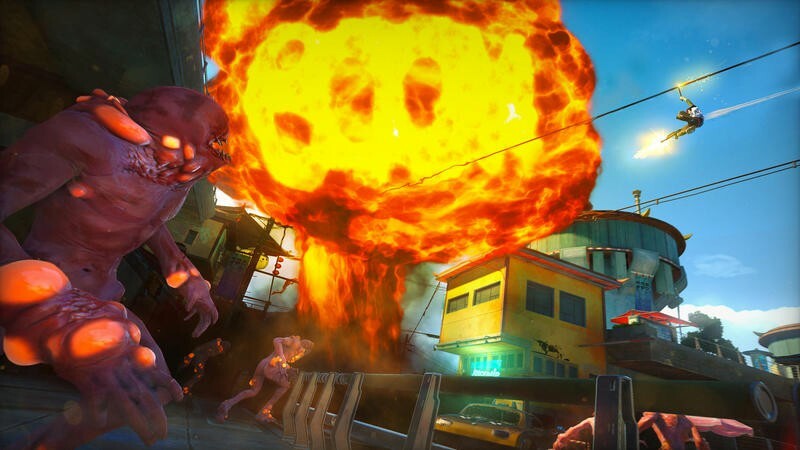 Despite the game being co-op, players do compete with each other over a high score. I realize grinding along rails plays a huge part in this game’s exploration and getting around, but when you are trapped in a small mutliplayer arena, it doesn’t really serve too much of a purpose other than to look cool. I was in no rush to move faster with the enemies never too far away, and looking for a rail grind towards a group could longer than a nice simple dash. 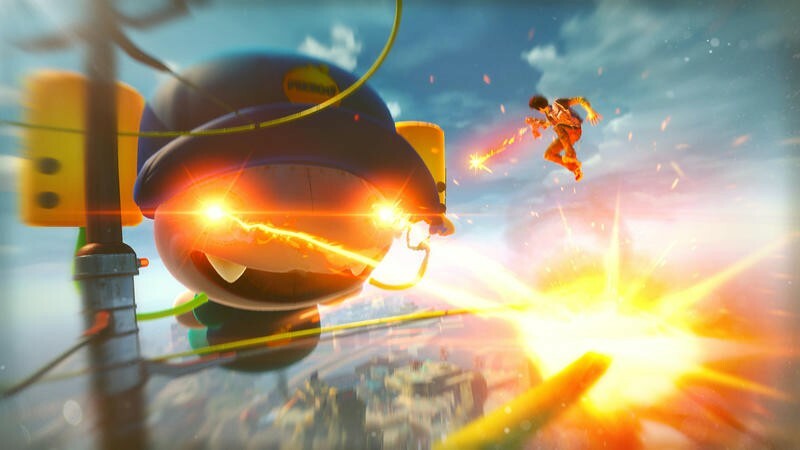 Buildings provide layers to the battlefield which is fresh for a shooter of its type, but not unlike BioShock Infinite, I skipped out on the aerial transportation and stuck with the practicality of playing it like a straight shooter. I also don’t think the sound was hooked up properly to my headset because the weapons and music were inaudible compared to the heavy breathing of my team makes. With any kind of imaginative weapons, the sound is half the fun. My bullets felt as if they had no impact and so did the muffled wails of my victims, leaving me wanting to hear more. 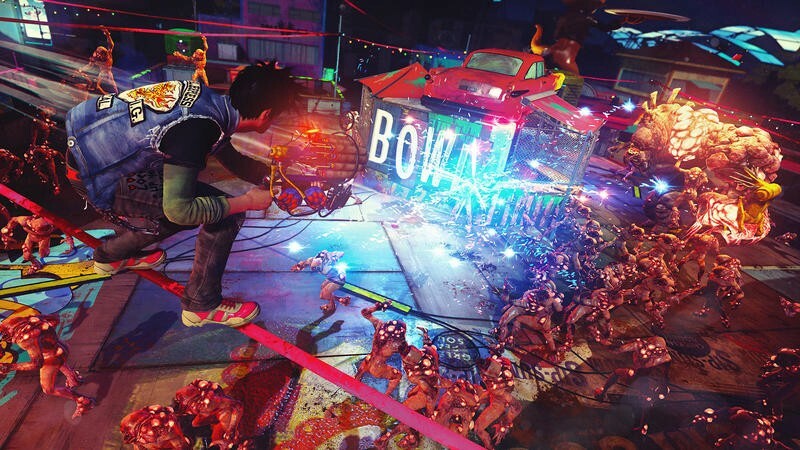 Had this been a single player demo, I might have walked away more impressed, but the multiplayer a pretty standard affair with bright colors and cheeky weapons to set it apart. Fans of multiplayer can find depth here by bringing in your custom avatar to battle along with others, but not me. I am far more interested in running through the open city, finding fun ways to use the grinding and parkour beyond scope of a tiny cramped area. 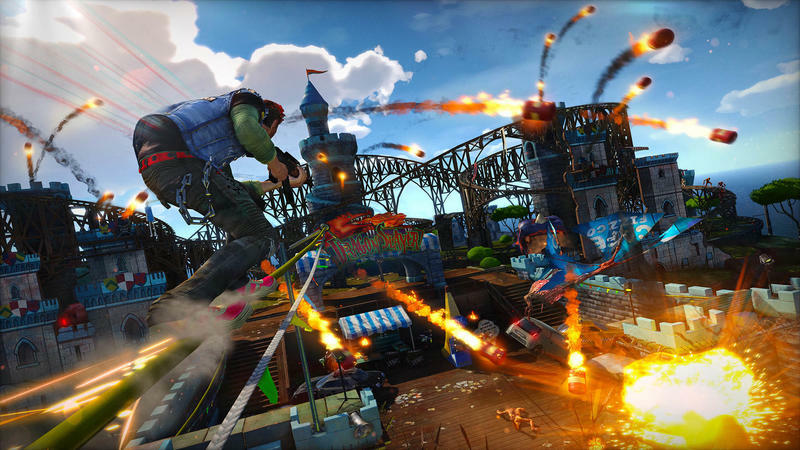 Exploring an enormous colorful playground, unlocking huge wardrobes, blasting away at enemies below, even doing this in co-op all sounds fun in Sunset Overdrive. Traditional multiplayer modes do not, at least to me. 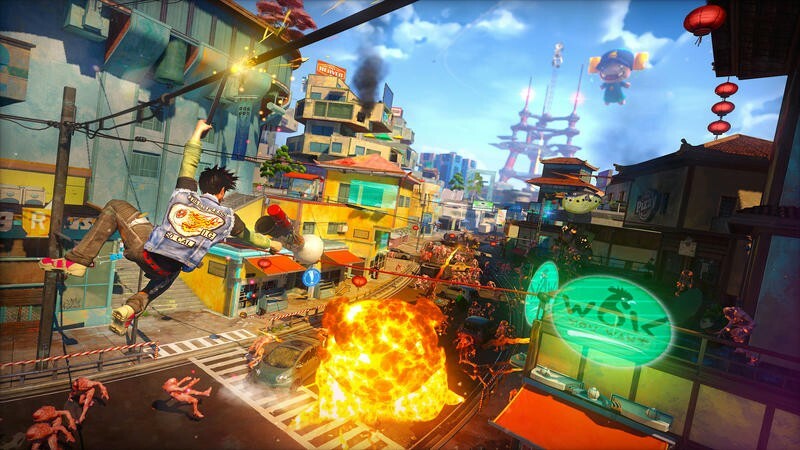 Sunset Overdrive is still the number one reason I have to buy an Xbox One someday, and it is definitely still on my radar. 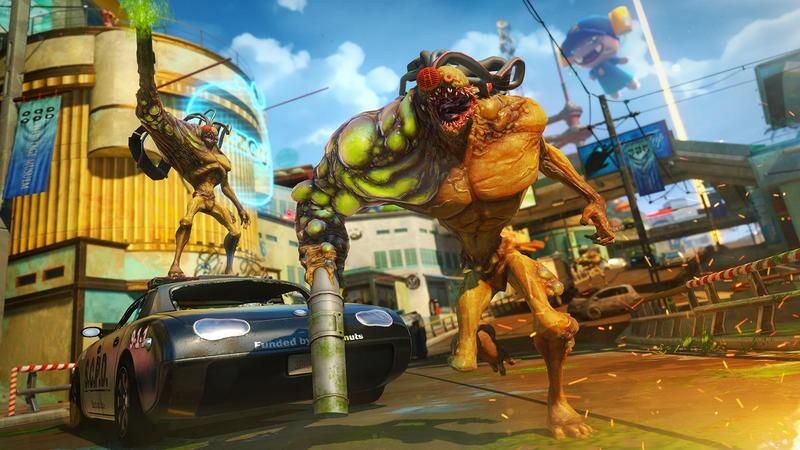 There are so many more attractive reasons to buy this game than the simple multiplayer alone, but realistically, it’s difficult to have a person just run willy-nilly looking for fun on a huge map within time limits at a game show. 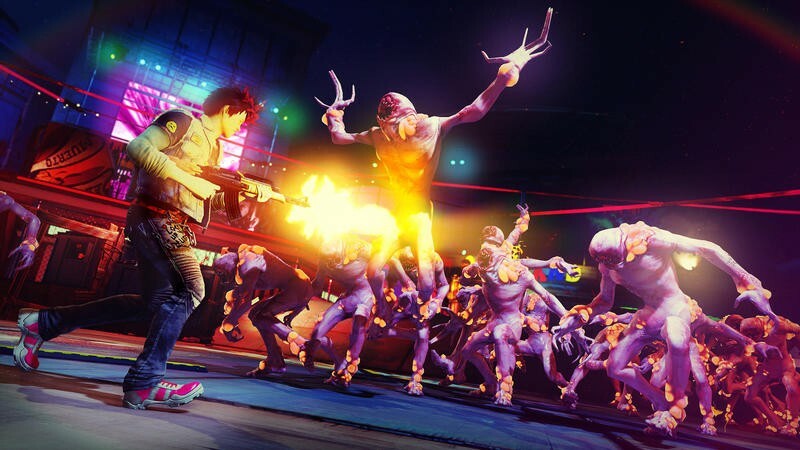 Short bursts of focused action sells best from the floor, but that is asking me to take out my drive for Sunset Overdrive.